Pic. Left: Yuan Chin-ta, Piling Up Books (2005)；Pic. Right top: The character for “to write” or “book” (shu). Calligraphy by Zhu Suiliang (596-658); Pic. Right bottom: The character for writing or a written composition (wen) From an inscription dated 156. These web links and questions provide background for both contextualizing and appreciating China Institute’s first exhibition of contemporary art, Shu: Reinventing Books in Contemporary China. “Reinvention” means making something over completely. In learning about the Chinese book and asking why Chinese artists would want to reinvent it, students and teachers will both learn about contemporary Chinese art and contemporary Chinese society. Writing and books occupy a central place in Chinese culture. In pre-modern times the written word helped unite a geographically large and linguistically diverse empire. Written documents were not only part of everyday life, but also inseparable from scholarship and the visual arts. Paper was invented and in use before the beginning of the Common Era. (See Note1) Woodblock printing developed during the Tang dynasty (618-907), centuries before Gutenberg “invented” printing in the 1450s. By the second millennium CE, printed books circulated all kinds of information among a sizable minority of literate people, mostly men. Based on their knowledge of the classics, history, and literature, these “literary men” (wenren ) qualified to serve in the imperial bureaucracy by taking civil service examinations. Although there were many more applicants than jobs, the examinations remained the most prestigious path of upward mobility until the beginning of the twentieth century. Books and written texts were at the core of this phenomenon. The modern Chinese words for both “culture” (wenhua 文化) and “civilization” (wenming 文明) contain the character wen. They were coined in Japan at the end of the nineteenth century under the influence of Western ideas and subsequently adopted by the Chinese. The intrusion of the West in the nineteenth century brought the rise of modern printing, publishing, and journalism. Western-style lithography was introduced as early as 1834. By the end of the century, Western language books of all kinds were being translated into Chinese. After the fall of the last imperial dynasty in 1911, reformers sought to discard literary Chinese (wenyan 文言) as a written language in favor of the modern colloquial (baihua 白话). After 1949, language reform in the People’s Republic of China resulted in the adoption of simplified characters (jianti zi簡體字／简体字), making it easier to learn how to read and write. The late 1970s and 80s were a period of tremendous change witnessing the abandonment of collective farming and China’s opening to Western investment. It also marked the beginning of exhibitions of experimental art (shiyan meishu实验美术) of the kind featured in Shu: Reinventing Books in Contemporary China. 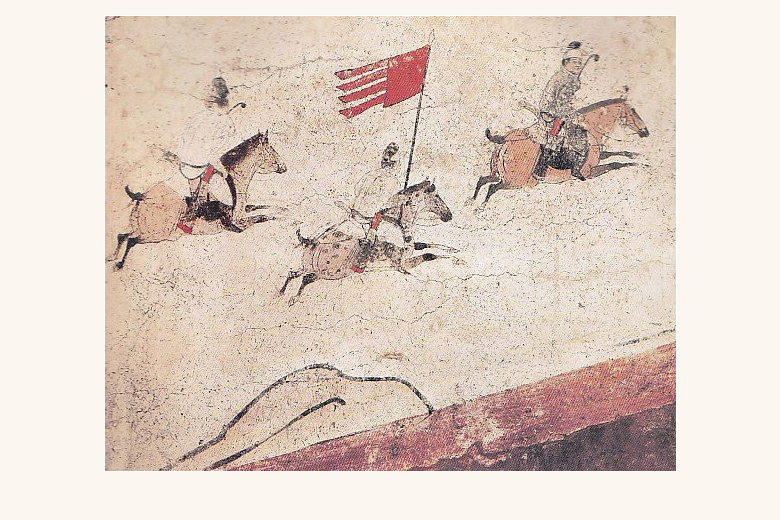 Centuries before the traditional date of its invention by Cai Lun in 125 CE. Shu: Reinventing Books in Contemporary Chinese Art. New York: China Institute Gallery. 4. An “international” commercial art that, though often initially part of experimental art, eventually caters to an international art market (Wu 2004: www). Such opposition to the contemporary mainstream caused artists to focus on issues such as the book’s political power to manipulate masses of people and its role in the “banality of popular culture.” This resulted in the use of existing books as ready-made art objects or the creation of unique books as independent objects or as part of installations (Wu 2006: 2). The self-identity of the artist (Wu 2006: 2-3). Compared to their teachers, most students are less burdened by preconceptions of what “art” should be; therefore exposure to Shu: Reinventing Books in Contemporary China will lead to fresh insights on these important issues. This collection of web-links is divided into (1) Writing, (2) Paper, and (3) Printed Books. After each there is a group of questions. Most are simple knowledge-oriented questions, others point to broader issues requiring critical thinking. A. A “portrait” of Cang Jie, mythical inventor of writing (Beijing, 1685, ink and colors on paper) from the Bibliothèque Nationale Francais. Cang Jie, with his four eyes, observed the tracks left by birds and animals and invented Chinese characters. Click here to learn about the inventors of other writing systems, real and mythical. B. Tradition and Transformation in the Chinese Writing System by Jerry Norman, from the Asia Society’s AskAsia website. A brief essay on the history of Chinese writing. C. “Chinese Calligraphy” from Columbia University’s Asia for Educators website. Discussion on using the brush and the various styles of calligraphy, as well as questions and exercises. D. Shang (or Yin) dynasty oracle bone script is the earliest known form of Chinese writing. This website, from the Academia Sinica in Taiwan, discusses the discovery of oracle bones and their use in divination. For an oracle bone inscription and its English translation, click here. E. Bronzes with inscriptions are key sources of early Chinese history (National Gallery of Art). F. Wooden strips bound with cord were a common medium used for writing before the use of paper became widespread. G. Daoism, China’s indigenous religion, uses calligraphy in the form of talismans to ward off evil spirits and communicate with the supernatural world. H. Eighteen masterpieces of calligraphy. This selection of works from the National Palace Museum in Taiwan includes information on the calligraphers and large color reproductions. I. “Crossing Gender Boundaries in China: Nüshu Narratives” (Anne McClaren). This article, from a web-magazine called Intersections, describes a secret women’s script from Hunan province in south China. What advantage do written records have over, for example, the quipu, knotted cords the Incas used for record-keeping? Take a look at this Chinese typewriter. Using the Jerry Norman essay (B) and the caption accompanying the typewriter photograph, explain how it works. Then, compare it to this English language typewriter. What does your research tell you about the differences between English and Chinese? What are the two kinds of history contained in the inscription on the Shi Qiang pan (E)? Where in the text does one begin and the other end? Click here for an English translation. The Chinese believed that calligraphy revealed a person’s character. Read the introductions to the eighteen masterpieces (H): What kind of human beings seem to make great calligraphers? What kind of calligraphy revealed an outstanding human being? Calligraphy by Zhi Yong of the Sui dynasty (589-618). J. “Revolution by the Ream—A History of Paper” (Saudi Aramco World). Jonathan Bloom traces the history of paper’s spread from China westward and its uses in various cultural contexts across Eurasia. K. The five steps in making bamboo paper from a seventeenth century Chinese treatise on technology. L. Indigenous Papermaking in Yunnan<. Yunnan, in southwest China, is home to a number of China’s ethnic minorities. Through interactive features and a video, this website describes the papermaking traditions of people such as the Bai, Naxi, and Dai. M. SAPPHIRE Papermaking Processes (SAPPHIRE is the Scottish Archive of Print and Publishing History Records). An illustrated description of pre-and post-industrial paper making in the West. N. How to make paper at home from Infostuff.com. Compared to paper, what are the advantages and disadvantages of wood and these other (non-Chinese) ancient writing materials? Look at the steps involved in pre-modern Chinese papermaking (K) and compare them to the photos of Western pre-industrial paper making in (M). What are the similarities and differences? The photograph analysis worksheet from the National Archives might be helpful in answering this question. 3 For a full description see: Sung Ying-hsing. 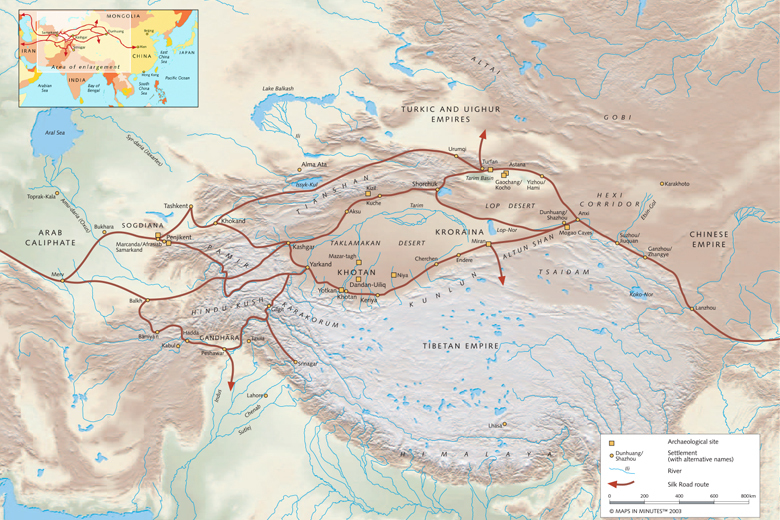 Chinese Technology in the Seventeenth Century–T’ien-kung k’ai-wu. Mineola, NY: Dover Publications, Inc.,1997, pp. 222-229. The character for “to print&quot (yin). Calligraphy by Wang Xizhi (307-365). O. Writing and Technology in China by Irene Leung from AskAsia.org. This brief “history of communications technology in China” sketches the media used to carry Chinese writing from ancient times to the internet. P. What is a Rubbing? from the East Asian Library at the University of California, Berkeley. Rubbings made from engraved stones were used to reproduce texts throughout Chinese history.4 For photos illustrating the process, click here. Q. The Glory of Chinese Printing. Website based on an exhibition held at the Printing Museum of China. R. From The Diary of Matthew Ricci. The Jesuit Matteo Ricci (1552-1610), one of the founders of Catholicism in China, writes about printing and printed books. S. Traditional bookbinding from the International Dunhuang Project. In 1900, thousands of manuscripts were found sealed in a cave outside the Silk Roads oasis of Dunhuang. This website uses some of these treasures to discuss traditional Chinese bookbinding. T. The world’s oldest dated printed book. This scroll of the Diamond Sutra, dated 868, was found in the Dunhuang cave mentioned above. U. The Book, An Introduction (Canadian Bookbinders and Book Artists Guild). An overview of the history of the book, mostly about the West. Also, click here for a universal timeline of media history from prehistoric rock carvings to the 1999 Ikonos satellite (The Media History Project at the University of Minnesota). How to repair a book using the traditional Chinese (referred to here as Japanese) stitched binding method. Posters from an exhibition at the Libraries of the Sinological Institute, Leiden University. “The posters exhibited here focus on . . .changing attitudes of the CCP [Chinese Communist Party] towards books, book knowledge and learning in general” from the 1950s to the 1990s. Before the invention of writing, knowledge was memorized and orally transmitted from person to person. Storytelling was an important form of entertainment and education. The advantages of books are obvious, but are there disadvantages? In East Asia, Chan Buddhism (Zen in Japanese) disparaged written texts as a tool for achieving enlightenment. In the dialogue entitled Phaedrus, Plato criticized learning based on the written word. The New Testament says “the letter killeth, but the spirit giveth life” (2 Corinthians 3: 6). Are there advantages to orally transmitted learning? What things can’t be transmitted in books? Do China’s experimental artists echo any of these questions in their critique of the book?